Hip injuries are a common complaint, especially among older people. A lifetime of use wears down the cartilage that cushions and protects the joints. This may lead to degenerative joint disease that impairs mobility, function, and quality of life. 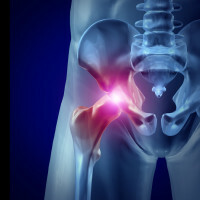 Patients often turn to medications or steroid injections into the hip joints in an effort to delay hip replacement surgery for as long as possible. However, drugs only address symptoms, and steroids actually damage local tissues over time. As a result, 327,000 hip replacement surgeries are performed in the United States every year. Other types of hip injuries include muscle, tendon, and ligament sprains and strains as well as fractures. Because the bones weaken with age, older people are at particularly high risk of fractures, and recovery is often prolonged and difficult. That’s why many patients are looking beyond drugs and surgery to regenerative medicine for hip injuries. Michael Elam, MD along with The Newport Beach Stem Cell Center offers a regenerative medicine protocol for Hip Injuries that harnesses the beneficial properties of adult stem cells. During an outpatient process that takes about three hours, the patient’s own stem cells are derived from adipose (fat) tissue–the richest source of adult stem cells–which is harvested during a liposuction procedure under local anesthesia. These cells are then deployed back into the patient’s body via injection or intravenous infusion. We are committed not only to quality care for our patients with hip injuries but also to stem cell research and the advancement of regenerative medicine. We are proud to be part of the only Investigational Review Board (IRB)-based stem cell treatment network in the United States that utilizes fat-transfer surgical technology. We have an array of ongoing IRB-approved protocols, and we provide care for patients with a wide variety of disorders that may be treated with adult stem cell-based regenerative therapy. Not all hip injuries respond to stem cell therapy, and each patient must be assessed individually to determine the potential for optimal results from this regenerative process. To learn more about Regenerative Medicine for Hip Injuries, contact us at 949-721-1113 or complete our confidential candidate application below.